Jacob: You’re here to get a loan to open up a bakery? Jacob: What are the odds of that? Well, may the best man win, I guess. *What brings you here: When you say “what brings you here?” to someone in one place, you are casually asking the person’s purpose to visit that place. 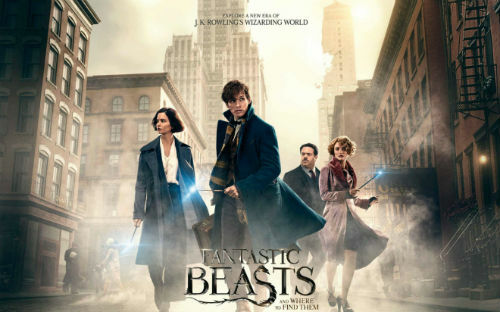 “Fantastic Beasts and Where to Find Them” is a spin-off of the famous fantasy movie series ‘Harry Potter.’ The movie features an adventure of Newt Scamander with magical creatures. The sequel to the movie, “Fantastic Beasts: The Crimes of Grindelwald” with a screenplay by J. K. Rowling was released last Wednesday, November 14 in Korea.